Tyson Farago; Simon Madden, Kevin Toner, Michael Leahy, Ian Bermingham; Lee Desmond, Graham Kelly (Darragh Markey 72), Ryan Brennan (Killian Brennan 85s); James Doona, Conan Byrne (Christy Fagan 79), Thomas Byrne. Mark McNulty, Colm Horgan, Alan Bennett, Sean McLoughlin, Shane Griffin; Conor McCormack, Garry Buckley (Barry McNamee 38), Jimmy Keohane; Karl Sheppard (Steven Beattie 80), Kieran Sadlier, Graham Cummins (Josh O'Hanlon 72). 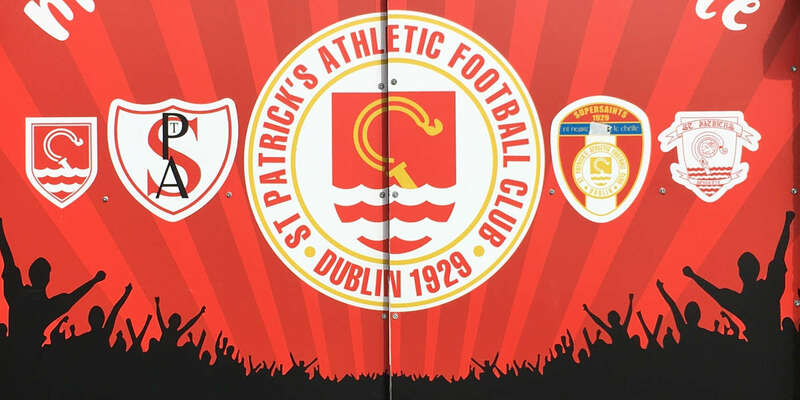 Kieran Sadlier scored twice as the champions Cork City battled to a hard-fought 3-1 win over St Patrick's Athletic at Richmond Park. Sadlier had given the visitors the lead from the spot early before Conan Byrne scored a deservedly equaliser for the Saints just past the hour. Jimmy Keohane put the visitors back in front with a spectacular curling shot before Sadlier made sure of the points as he scored into an empty net from his own half in injury time. City took the lead in just the second minute as Sadlier tumbled in the box under the challenge of Kevin Toner with just 13 seconds on the clock. 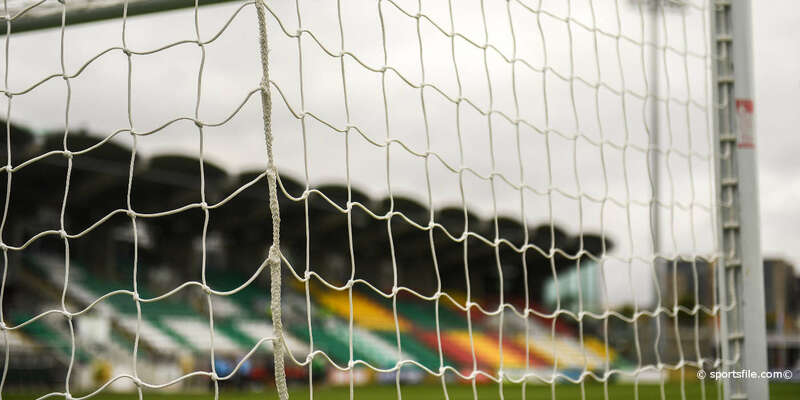 Referee Neil Doyle pointed straight to the spot and Sadlier stepped up himself to dispatch the spot-kick, his seventh of the season and his fifth from 12 yards. 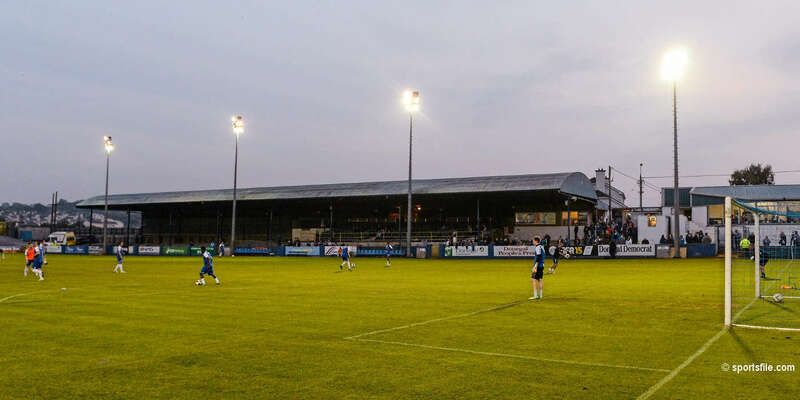 The home side worked their way into the game from that disastrous start, and Lee Desmond Ã¢â‚¬â€œ moved up to midfield for this game - saw a shot blocked before Conan Byrne's effort was saved. A nice passing movement beginning with goalkeeper Tyson Farago eventually ended with space to shoot for Ryan Brennan, but he sliced his effort high and wide. Brennan's cross from the left nearly found the head of the inrushing Graham Kelly, but it was just a fraction too high. Cork had chances of their own as Cummins headed a long free kick at Farago before Sheppard should have nodded home Sadlier's cross at the back post before appealing for handball. In a lively start to the second half, Pats were fist to threaten as Thomas Byrne's cross was cleared only as far as Lee Desmond on the edge of the box, but he flashed his shot past the post. Moments later, Cummins forced a fine save from Farago, flicking the ball up and volleying on goal only for the Canadian to tip over the bar. 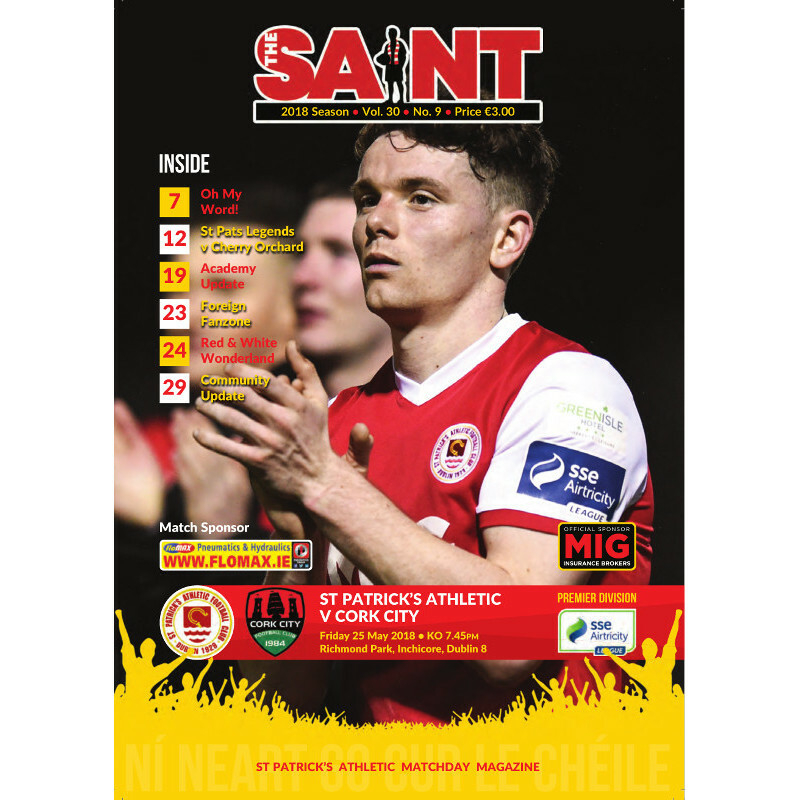 The Saints did get the equaliser their play deserved just after the hour as James Doona got in behind the full-back and shot at McNulty, and Conan Byrne was following up to slot in the rebound. They very nearly led when Doona cut the ball inside for captain Ian Bermingham to clip a first-time shot off the top of the bar, and Brennan's follow-up was blocked by Shane Griffin. City regained the lead two minutes later in spectacular fashion, Cummins holding the ball up before laying off to Keohane, who curled an unstoppable shot into the top corner. And Sadlier made sure in injury time, shooting into an empty net from just outside his own box after Farago had gone up for a corner.